You'll be £7.79 closer to your next £10.00 credit when you purchase Panzer Rollen. What's this? 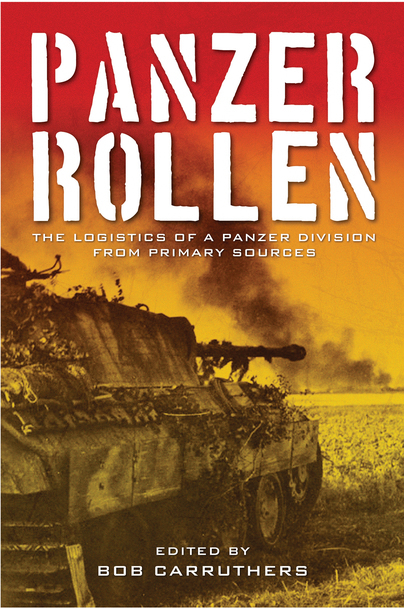 Panzer Rollen provides an insightful look in to the workings of the Military Intelligence Service that was so invaluable in shaping both the strategy and tactics of the Allied forces during the Second World War. Captured German field manuals translated and published by the US Military Intelligence Division are crucial in offering a perception of the intelligence provided to Allied fighters. The two volumes gathered together in this publication were originally published by the German War Office and therefore are particularly valuable, as they also provide a rare glimpse in to the methodology underlying the operation of an armoured division from the German perspective. Comprising of two supplementary field manuals, this book is essential reading for any military history enthusiast. A really interesting book to read! This is a must have text for those enjoy reading about the various armor battles across modern history as well as those of the Second World War. I highly recommend this book as a primer for study potentially for those who dream of being professionals or those who study tank warfare. It is a great read and hopefully will continue as a niche with more examples being produced. They provide an in depth look of what functions are critical to a larger operation and how all of these divergent elements are joined into what now is called joint combat groups in today’s modern warfare. Certainly a superb edition to join your library of armor books of any period. I thoroughly enjoyed it cover to cover. This is a fascinating little paperback, as it reproduces wartime US Intelligence translations of 2 original German documents. Both are manuals published for German units, but once captured, US Intelligence had them translated and then shared them with US unit commanders, to help them appreciate how the German Panzer units were operated... I find it fascinating to read original documents such as these so I enjoy seeing modern versions such as this. One for the military historian with any interest in the Panzers of WW2 and also a handy reference for wargamers I'd suggest.